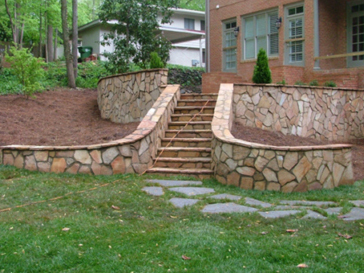 In our appointment with the Hares, we received the information to designed the project as they wanted it. 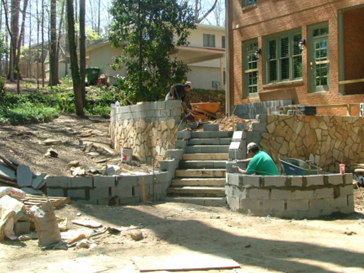 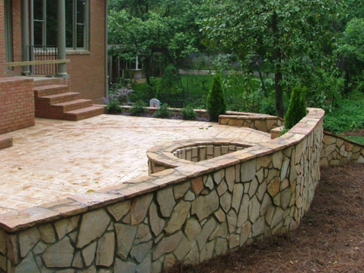 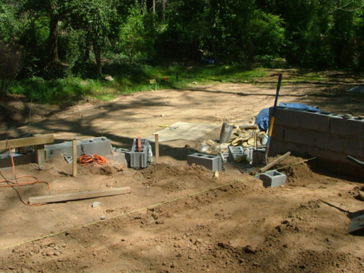 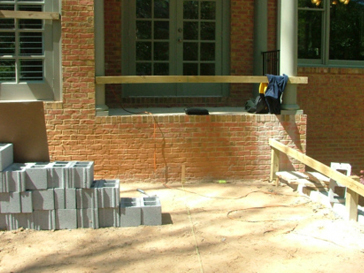 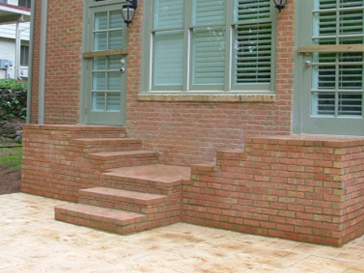 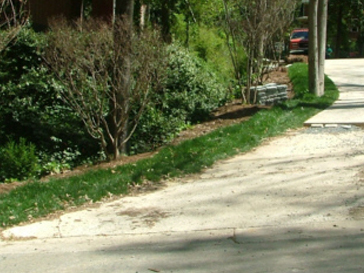 They wanted flagstone retaining walls with the center steps, stamped concrete patio, fire pit, dry flagstone path to the driveway, and brick steps from the house. 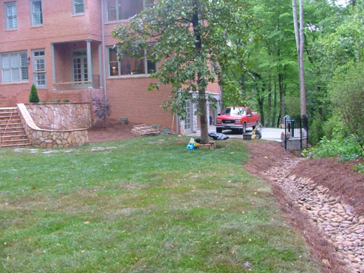 Also, we cleaned up the backyard from English Ivy and debris, installed 10 new pallets of Fescue Sod and a dry river stone creek for erosion. 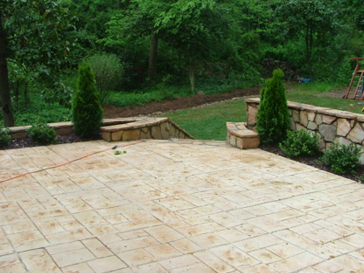 The after picture can show the work finished. 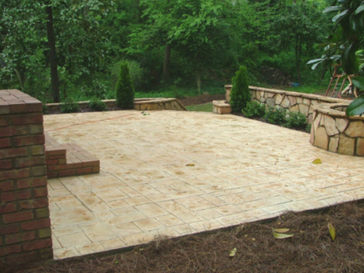 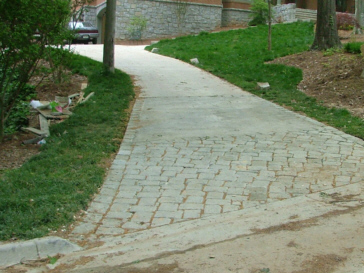 The flagstone color was picked by the customer. 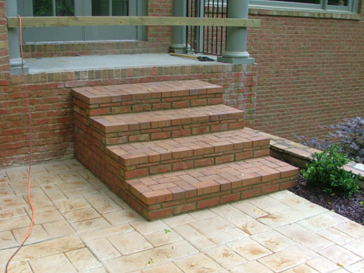 The house did not have any steps down to the backyard. 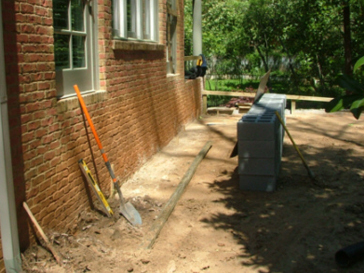 Steps were built from the house to the new court yard. 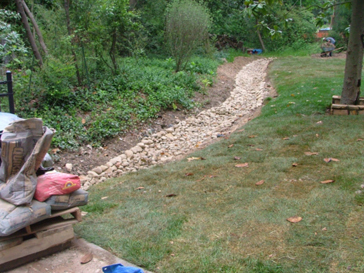 River rock dry bed with new fescue sod.